SDCC 2014: All CBLDF, All the Time! Comic-Con is upon us, and CBLDF is excited to once again to be part of the action! We’ll be joining thousands of comics fans from around the world, and you’ll find us at booth 192o with exclusive premiums, informative panels, and the best party at Comic-Con, all to benefit our important work defending the right to read comics! Kick-off Comic-Con with comics’ greatest creators at the Comic Book Legal Defense Fund’s Comic-Con Welcome Party, sponsored by Image Comics, Kickstarter, comiXology, and Eventbrite, with special gallery displays from TFAW.com and Black Phoenix Alchemy Lab! The fun starts at 8:00 PM on Thursday, July 24 at the Westgate Hotel, when CBLDF welcomes you to Comic-Con for a night of amazing creators, astonishing artwork, and outstanding exclusives! Meet Great Creators: Every year the greatest creators in comics drop in at the CBLDF Welcome Party. Confirmed attendees so far this year include Brian K. Vaughan, Fiona Staples, Scott Snyder, Chris Burnham, Nick Dragotta, Nick Pitarra, John Layman, Josh Williamson, Joe Harris, Frank J. Barbiere, Stuart Moore, Paul Pope, Daniel Corey, Richard Starkings, Roc Upchurch, and even more are expected to drop in over the course of the night! Get the Exclusive Goods: The first 200 attendees will receive a free gift bag, with exclusive items from Image Comics and CBLDF! 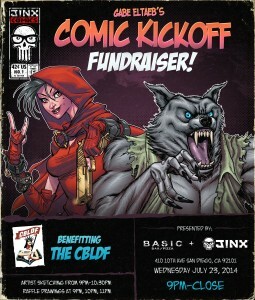 RSVP now to guarantee your gift bag: http://cbldf-sdcc2014.eventbrite.com. Smell Awesome at the Black Phoenix Alchemy Lab/Trading Post: BPAL will make their only Comic-Con appearance at the party, setting up a one-night-only display of fragrances, including TWO world premiere fragrances benefiting CBLDF! Get First Dibs on CBLDF Exclusives: Here’s your chance to get copies of the extremely rare CBLDF Liberty variant of Harbinger #25 with art by Gilbert Hernandez, or the “It’s Not A Trick” print, signed by J.H. Williams and Todd Klein, only available at Comic-Con! Preview the Incredible Items in CBLDF’s Comic-Con Auction, Sponsored by TFAW.com: Get a first look at the amazing original art up for grabs at Saturday’s CBLDF Comic-Con Auction, including pieces by Jeff Smith, John Cassaday, Emma Ríos, Frank Quitely, Brandon Graham, Francesco Francavilla, Jeff Lemire, and many, many more! Come support Free Speech and experience the best of Comic-Con at the CBLDF Comic-Con Welcome Party, Thursday, July 24, at the Westgate Hotel (1055 Second Avenue, San Diego, CA 92101), from 8:00 – 11:00 PM! This party is FREE for CBLDF Members. Non-members: Suggested $10 – $20 donation at the door, please. 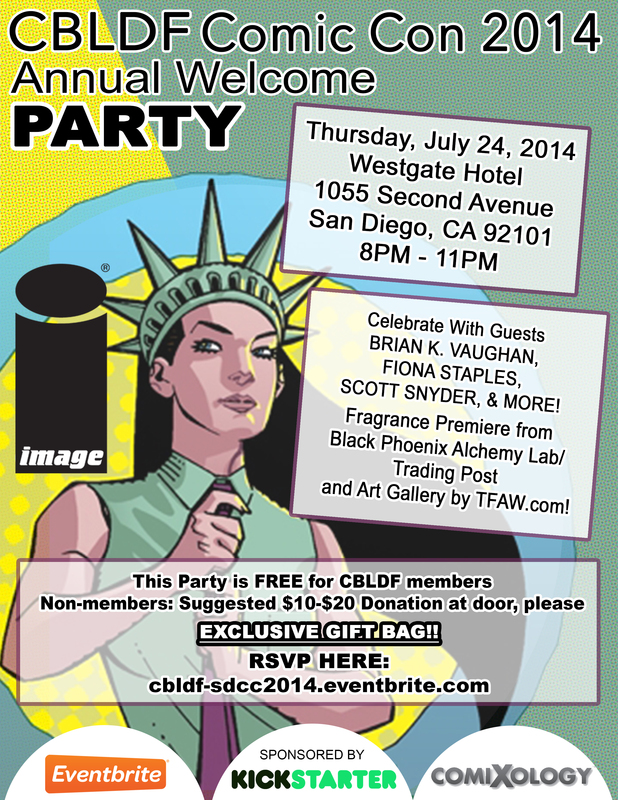 You can RSVP here: http://cbldf-sdcc2014.eventbrite.com. 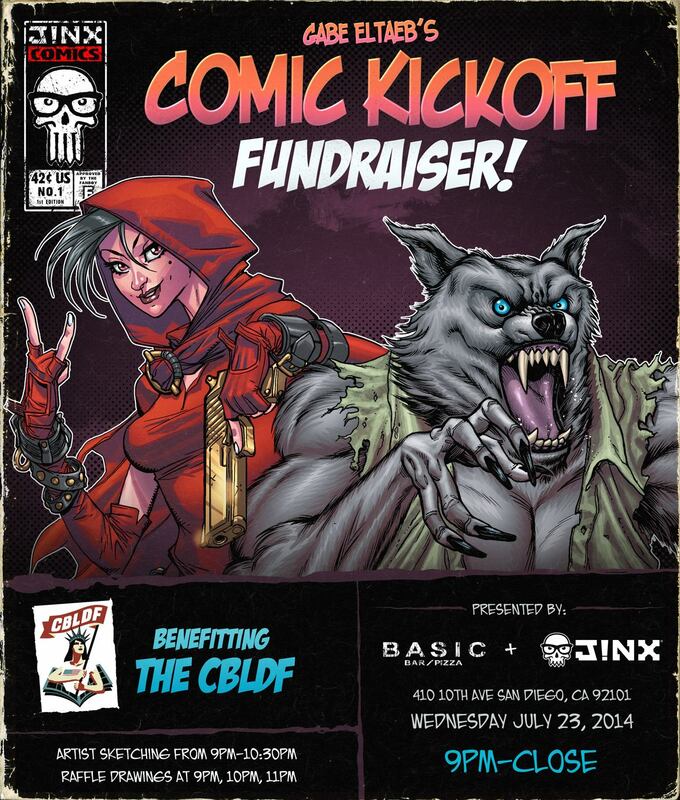 To get the Comic-Con party started, you can join artist Gabe Eltaeb and Jinx Comics on Wednesday, July 23, for a party benefiting CBLDF! Starting at 9:00 p.m. at Bar Basic (410 Tenth Avenue, San Diego), the party will feature live sketching with Eltaeb, Carlos D’Anda, Doug Wheatley, Dave Wilkins, Eddie Nunez, and Todd Nauck. The original art and rare Alex Ross variants of Star Wars #1 will be raffled to benefit CBLDF. Whether you’re looking for some cool new original art or a great place to hang out before we really dig in to Comic-Con, this sounds like the place to be! To RSVP and get more details, visit the event page on Facebook: https://www.facebook.com/events/415521051910121. CBLDF is delighted to announce an exclusive signed print from the incomparable J.H. Williams and Todd Klein! This image first appeared in the 2011 CBLDF Liberty Annual and is now recreated exclusively for Comic-Con International 2014. This beautiful, full color, 22 x 17 inch print, has been numbered and signed by Williams (Sandman: Overture, Promethea, Batwoman) and Todd Klein (Sandman, The DC Comics Guide to Coloring and Lettering Comics). With a limited run of 125 pieces, it’s a very rare item indeed! The prints will be available for a $75 donation or $50 for CBLDF Members. They will be available throughout Comic-Con International — as long as they last, that is — at booth 1920! 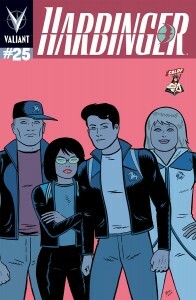 Hernandez’s Harbinger #25 SDCC Liberty Variant will be available exclusively at the CBLDF’s booth (#1920) inside the San Diego Convention Center and via the CBLDF website (cbldf.org). 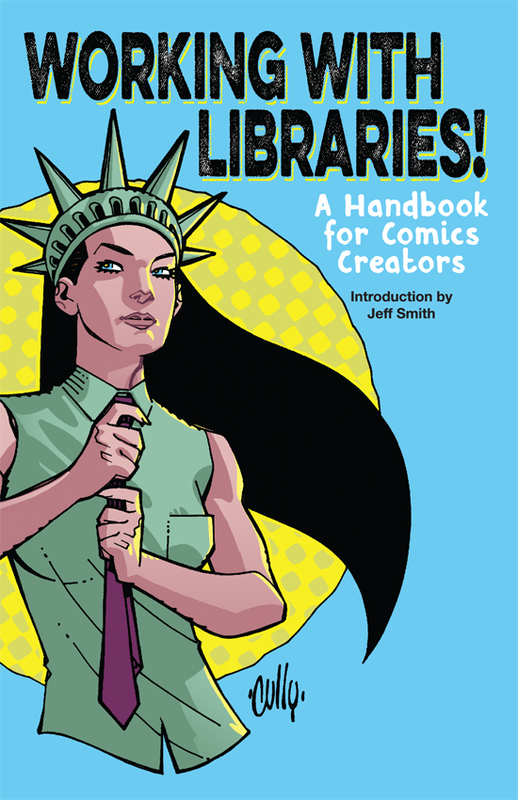 The Comic Book Legal Defense Fund is proud to release Working With Libraries! 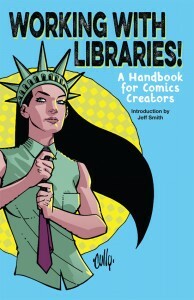 A Handbook For Comics Creators, featuring an introduction by Jeff Smith, and written by Eva Volin (Supervising Librarian, Children’s Services, Alameda Free Library, Alameda, CA), Katherine Keller (Sequential Tart, UNLV), Jessica Lee (Teacher Librarian, Willard Middle School, Berkeley, CA), Amanda Jacobs Foust (Electronic Services Librarian, Marin County Free Library, Marin, CA), and Jack Baur (Teen Services Librarian, Berkeley Public Library, Berkeley, CA). The handbook is available now as a free download at cbldf.org. Printed copies will be available from CBLDF at booth #1920 during this week’s Comic-Con International convention in San Diego. We’re delighted to host some of our favorite creator supporters at booth 1920 during Comic-Con! We’re still locking in some signings, but here’s what we have so far. Watch the CBLDF website, Twitter, and Facebook for updates! Continuing a tradition of support for Free Expression in comics, Valiant Entertainment announces a Comic Book Legal Defense Fund Variant for Harbinger #25. This variant features art by industry legend GILBERT HERNANDEZ, and to celebrate this release, the CBLDF will host a group signing at Comic Con International, on Saturday 7/20, featuring Harbinger #25 contributors JOSH DYSART, VIVEK TIWARY, LUCY KNISLEY, and the aforementioned Hernandez. This will take place in booth 1920 from 12-2 pm. Comics and graphic novels are amazing resources for inspiring a love of reading and learning among students of all ages. CBLDF experts Betsy Gomez, Meryl Jaffe, Carol Tilley, and more examine how to use comics in classrooms, and provide strategies for combating the confusion that often leads graphic novels to be targeted by censors. They’ll also offer suggestions for how to use specific comics in the classroom. Bring your challenges, questions and success stories! 60 years ago this month, comics were put on trial in a nationally televised Senate subcommittee hearing that had shattering repercussions for this great American artform. 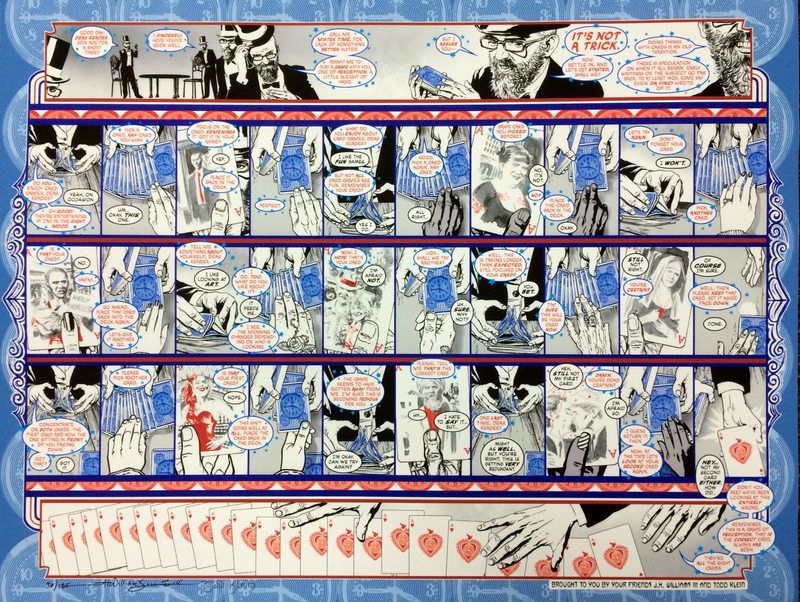 The Comic Book Legal Defense Fund presents the shocking history of moral panic that led to this historic hearing and the birth of the Comics Code Authority, which regulated the medium’s content for more than 50 years. CBLDF executive director Charles Brownstein tells the tale at this CBLDF presentation. 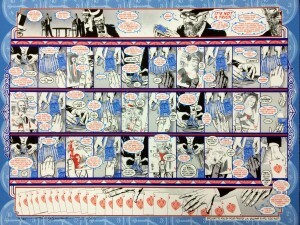 Graphic novels are often associated with violence and aggression. They can, however, be used to help kids gain a greater understanding of the often violent world around them, and they can often be used to defuse anger. Finally, they can be used to teach history, social studies, and social organization. This panel of educators, authors, and artists will show you how. They’ll discuss the intertwining history of comics, violence, and censorship and provide teachers with classroom tools to integrate incredible graphic novels within language arts, social studies and science, effectively meeting Common Core State Standards while addressing ever-present resistance to the graphic text artform. Panelists include Meryl Jaffe, Betsy Gomez, Matt Holm, Jennifer L. Holm, Matt Phelan, and Janet Lee. How did a pioneering neuroscientist become one of the 20th century’s most notorious censors? In 1954, psychiatrist Fredric Wertham published the popular book Seduction of the Innocent, which inspired such moral panic that comics were placed on trial by the U.S. Senate. Wertham’s efforts, although presented as science, were actually carefully manipulated to discredit the medium. The results nearly destroyed the comics artform in the United States. Carol Tilley, the professor whose recent research helped debunk Wertham once and for all, will take you back in time, behind the scenes, as she shares some of the little-known stories of Dr. Wertham’s war on comics. For more than 50 years, American comic books were subject to the censorship of the Comics Code, a system born from a time when comics were burned in the streets and blamed for all of society’s ills. Though the Code is gone, its influence remains. The Comic Book Legal Defense Fund gathers Denny O’Neil, Paul Levitz, and other top storytellers who worked under the Code’s strictures to tell the tales of how its censorship touched their creative visions. Bone, Fun Home, Maus, Persepolis, Sandman, Watchmen… they’re not just some of the greatest comics ever made, they’re also among the most frequently targeted for bans! This year’s Banned Books Week celebrates comics and graphic novels and the CBLDF has everything you need to know to celebrate in your community. Jeff Smith, Gene Yang, Carol Tilley, Charles Brownstein, and others discuss how and why comics are banned and how you can fight back by participating in this year’s comics-focused Banned Books Week! The Comic Book Legal Defense Fund hosts its biggest auction of the year at Comic-Con! Get your chance to support free speech and take home amazing original art from artists including Jeff Smith, John Cassaday, Emma Ríos, Frank Quitely, Brandon Graham, Francesco Fracavilla, Jeff Lemire, and many, many more! Join top artists to mark the 60th Anniversary of the Comics Code and celebrate its recent demise by creating live art before your eyes. The only rule is that it would have been forbidden by the Comics Code! Artists will talk about censorship and make once-in-a-lifetime art! Get a chance to watch live art made before your eyes, learn about censorship, and bid to win the pieces made here to benefit the Comic Book Legal Defense Fund. CBLDF hosts its biggest original art auction of the year at Comic-Con! On Saturday, July 26, 7:30pm – 9:00pm, join CBLDF to in the Sapphire Ballroom EF, Hilton San Diego Bayfront, to bid on amazing original art from Jeff Smith (Bone), John Cassaday (Planetary), Emma Ríos (Pretty Deadly), Frank Quitely (Jupiter’s Legacy), Brandon Graham (King City), Francesco Fracavilla (Detective Comics), Jeff Lemire (Sweet Tooth), and many, many more! Since 2009, Things From Another World (TFAW) has proudly teamed up with CBLDF to solicit donations of original art for their annual auction at San Diego Comic-Con. TFAW has helped raise more than $100,000 to support the First Amendment rights of the comics community. In addition to the amazing artists already mentioned, Gabriel Bà (B.P.R.D. : Vampire), Jenny Frison (Loki: Agent of Asgard), Fàbio Moon (Sugarshock), Mike Norton (Revival), Nick Pitarra (Manhattan Projects), and Tim Seeley (Sundowners) have also donated to the CBLDF SDCC auction this year. We’ll be adding new images as they become available, so return to the website for updates! Your bids should be delivered to Betsy Gomez (betsy.gomez@cbldf.org) by MIDNIGHT PACIFIC TIME July 25th to be eligible. You will be contacted immediately after the auction with any winning bids.